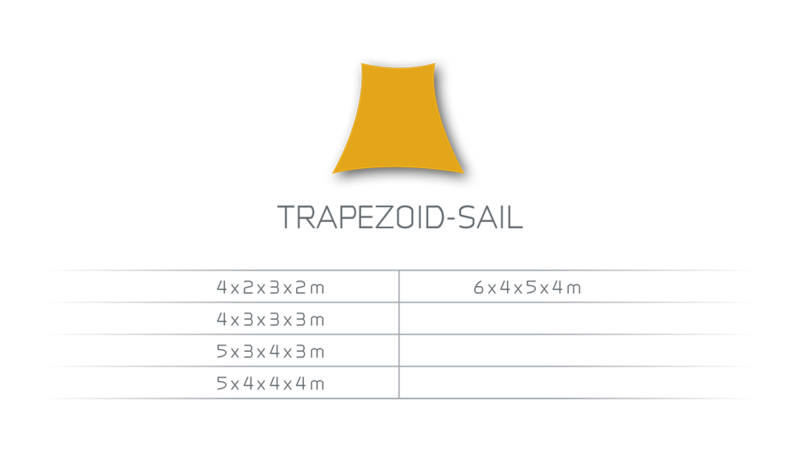 steel D-rings and double reinforced loops in the webbing. 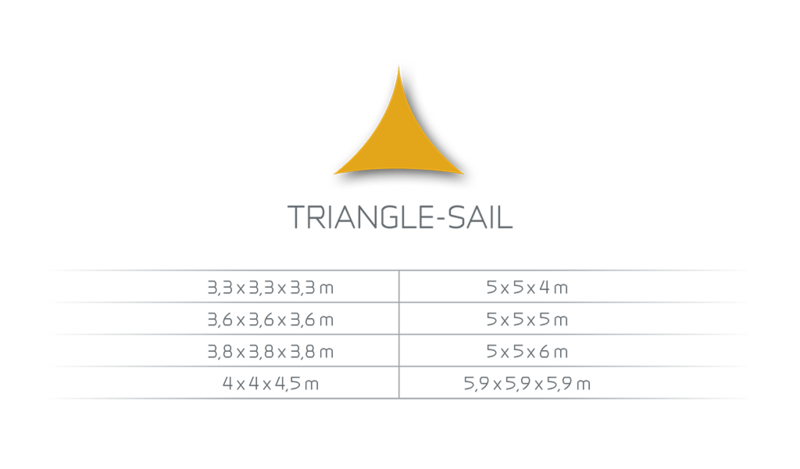 Side edges featuring a concave design allow sunsails to be set up perfectly while retaining the dynamic form that is typical of our sunsails. 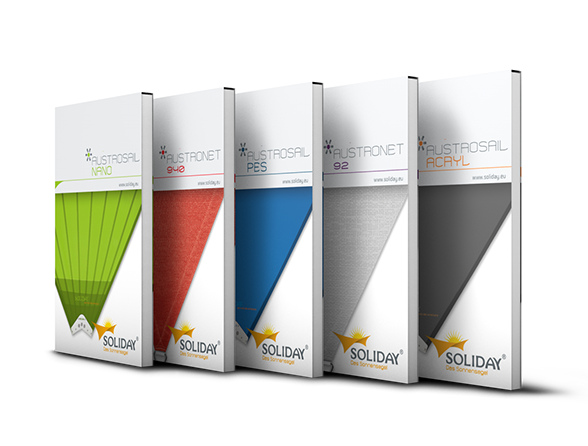 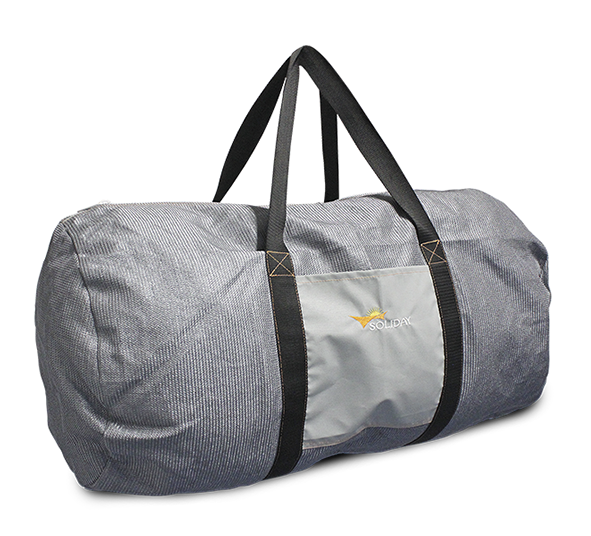 All of SOLIDAY’s rigid sunsails are made with stitched-in webbing that runs all around the edges. 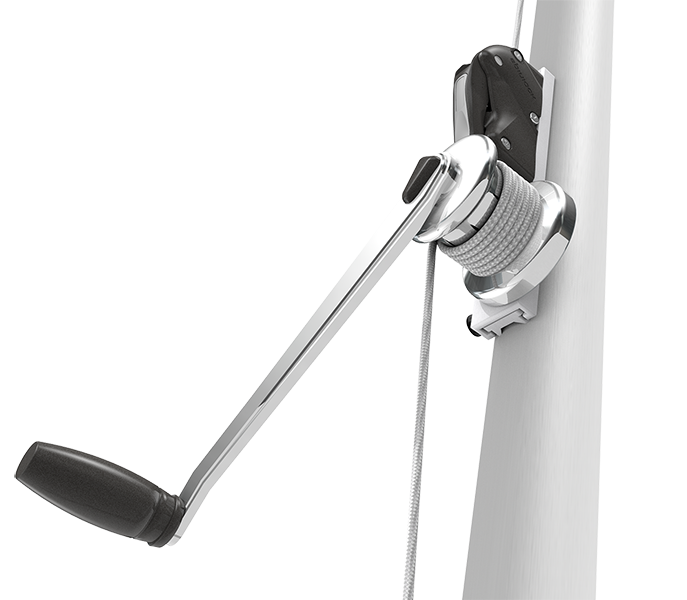 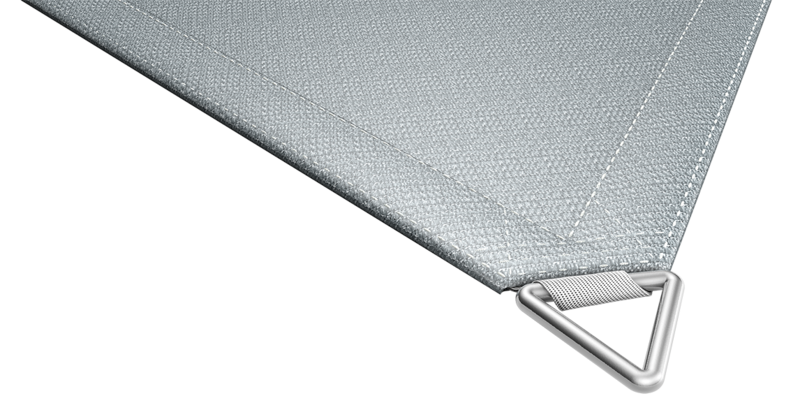 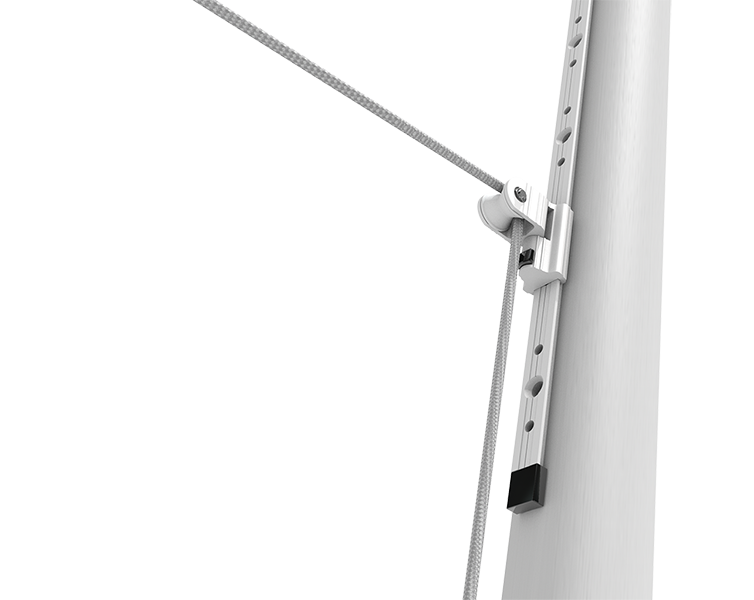 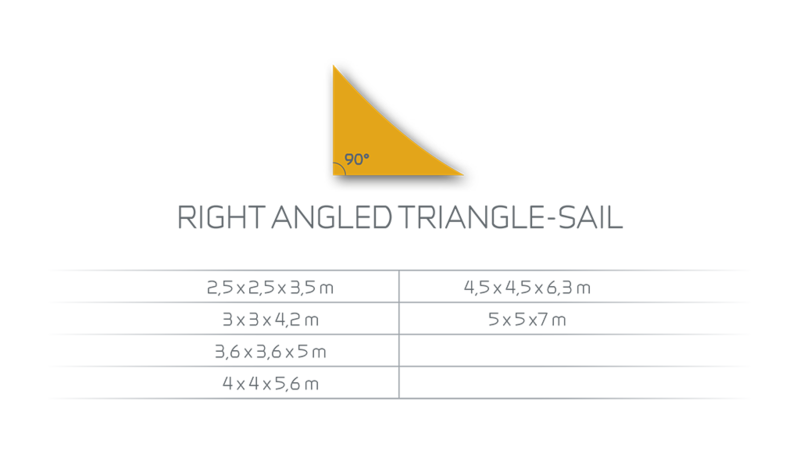 This reinforces the sail edges and corners, which in turn guarantees stability and safety. 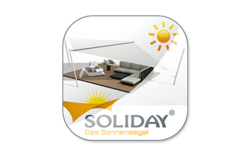 We at SOLIDAY place great store in the quality of our materials. 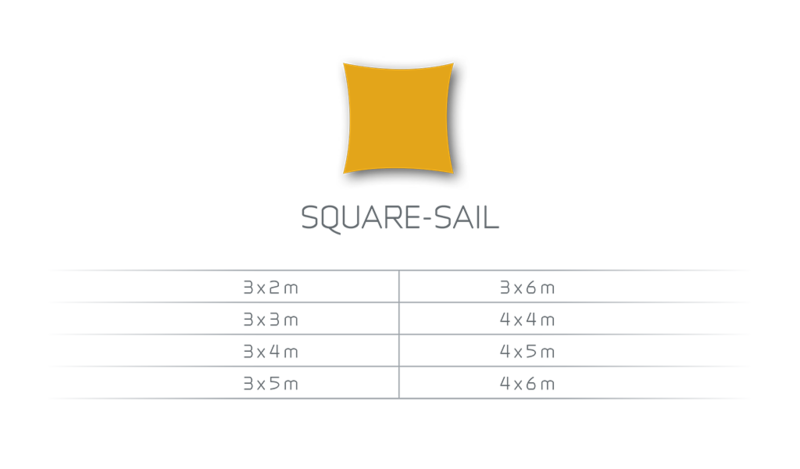 Sunsail fabrics have to meet the very highest of demands, and live up to a variety of expectations depending on the purpose for which they are intended. 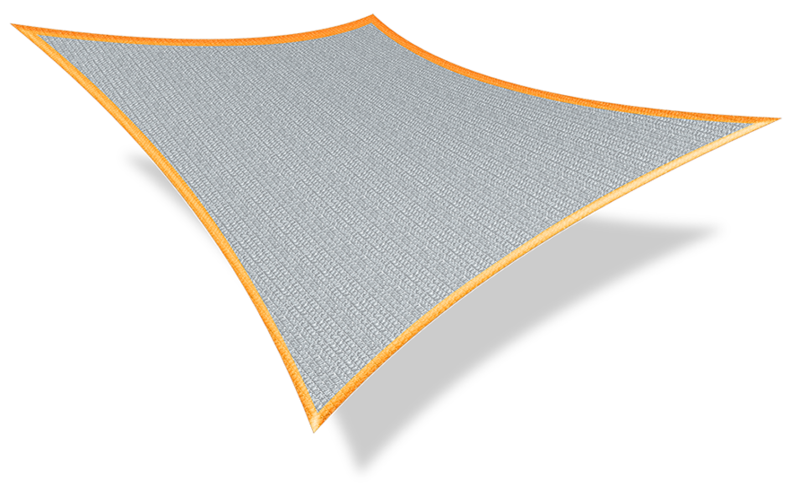 We have the perfect sunsail fabric for whatever your needs – in a wide selection of colors, made to withstand wind and weather..